A delicious meal in minutes, packed with fresh taste and healthful ingredients. Heat oils in a wok over medium-high. 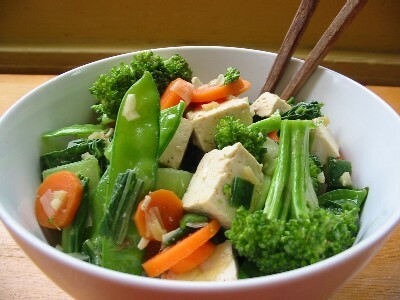 Add vegetables and seasonings and stir fry 2-3 minutes. Add water and tofu and stir fry another 3 minutes. Remove from heat, spoon over cooked rice and serve immediately.